Judging by the view from my office in Edinburgh, the heatwave is finally giving way to some welcome rain, but that hasn’t put a dampener on LendingCrowd’s activities. We’ve just completed a record six-month period for loans origination, with £13.9 million of lending in the first half of 2018, compared with £4.9 million a year ago. 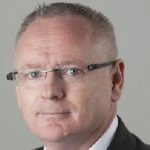 This coincided with another milestone – it’s a year since I joined LendingCrowd as Head of Origination, following three decades in the banking sector. I was particularly pleased to mark my anniversary at LendingCrowd by being able to announce that our total lending in Scotland trebled to £3.9 million for the six months to the end of June as the platform benefited from growing awareness of our brand and business model. LendingCrowd, which was founded in 2014 to help tackle the funding gap facing so many of the country’s vital SMEs, has made great strides over the past four years – but we aren’t resting on our laurels. We recently expanded our business development team with the appointment of Jordan Wright, who is working alongside Riley O’Dwyer and Thomas Boyd to forge closer links with our fantastic community of introducers and individual business owners. The growing importance of the peer-to-peer (P2P) lending sector was evident at the NACFB Commercial Finance Expo, where I was encouraged by the number of brokers embracing this model of small business financing. By connecting individual investors with SMEs seeking funding of up to £500,000, LendingCrowd offers a fast and flexible alternative to bank borrowing, with an average of just 10 days from application to drawdown. We’ve helped hundreds of SMEs secure the finance they need to expand, create jobs and boost the wider economy. The rise in demand for P2P funding highlights the huge opportunity that exists for introducers and their clients. I would be delighted to see more brokers establish a foothold in Scotland to help drive innovation and competition. SMEs make up more than 99% of the business population and they deserve greater access to a wide range of funding sources to ensure they can continue to thrive in these uncertain times. 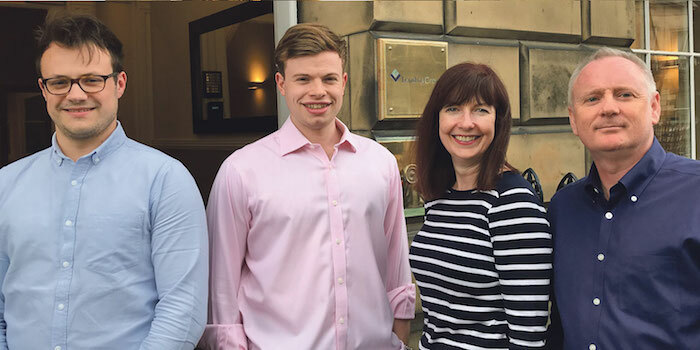 Being headquartered in Edinburgh, where the rain has – typically – arrived just in time for Festival season, we have in-depth knowledge of the Scottish market and our location makes it easy for many brokers and their clients to meet us face to face. We may be a fintech company, but our approach to lending isn’t driven by computers and algorithms. Borrowers and introducers alike have direct access to our team of experts every step of the way. Think Outside The Bank and visit www.lendingcrowd.com/introducers to find out we can help. Have you read our new Investor Guide?